Jack Hammer Automatic grows buds that are very similar to the original Jack Hammer. 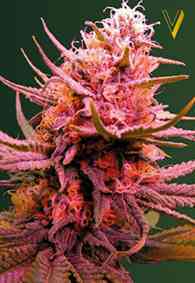 However, as this strain is autoflowering, it can be grown almost anywhere. The plants will grow quickly and be ready to harvest in around 10 weeks. The main effect is an uplifting and creative Sativa high, but thanks to Jack Hammer's mix of Haze, Northern Lights and Skunk, this strain also gives you a relaxing Indica feeling. Jack Hammer Automatic has a Haze-like, peppery aroma.